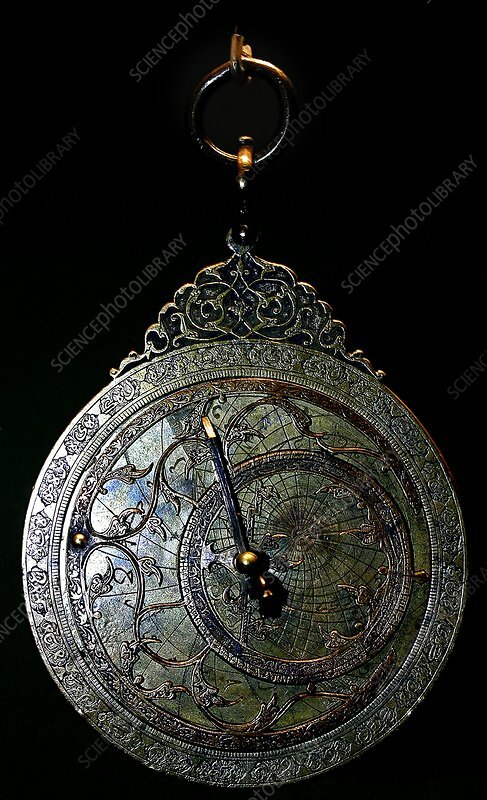 Old Islamic astrolabe. An astrolabe is an instrument used historically by astronomers, navigators and astrologers to locate the Sun, the moon and the stars. In the Islamic world, it was used to locate the Qibla (the direction of prayer) and calculate prayer times. It is thought that the first astrolabe was made by the ancient Greeks around 150 BC. Photographed in the Islamic Art department of the Louvre Museum, Paris, France.